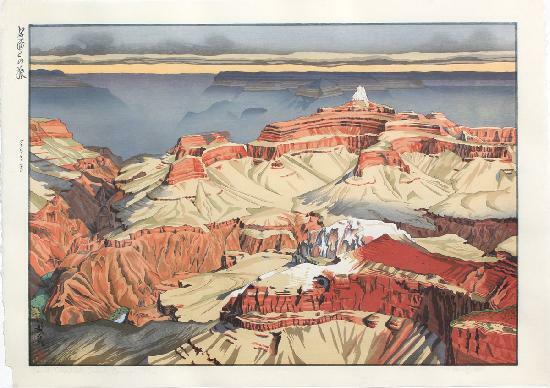 The first print from a new series, Meishô to no tabi (名匠との旅) - Travels with the master, closely following Hiroshi Yoshida's Grand Canyon print of 1925 (Hiroshi Yoshida being "the master" of course). Paper size: 65 x 47.5 cm, so Paul Binnie's largest landscape print to date. This design was printed in the Yoshida Studio in Japan. It is #100 in the book showing Paul Binnie's complete work until 2007.